How about a religious guide to wealth and success? Catherine Ponder thinks she has the master key. The Dynamic Laws of Prosperity. Who Should Read “The Dynamic Laws of Prosperity”? And Why? 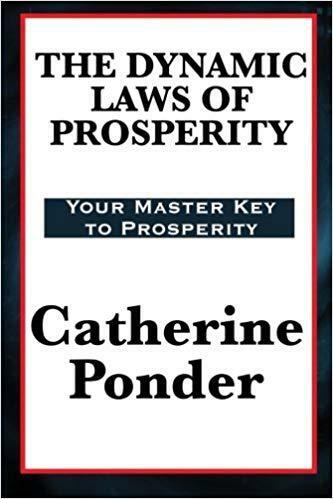 Long before positive thinking, affirmations and the Law of Attraction became parts of common knowledge, Catherine Ponder made them a thing, though using a few different words: radiation, attraction, visualization, circulation, and the Law of Creative Prosperity. Readers of self-help New Thought books should definitely have a look, especially if they are religious; and those who believe in the power of positive thinking, shouldn’t think twice before buying this book. Catherine Ponder is an American Unity Church minister and bestselling author of a few New Thought prosperity-themed books. Born in 1927, Catherine Ponder received degrees in both business and education in North Carolina before being ordained as a minister in 1958. Her first ministry was in Birmingham, Alabama, after which she moved to Austin, Texas, and then to San Antonio. In 1973 she moved to Palm Desert, from where she heads global ministry, having founded Unity Church Worldwide, an affiliate of Unity Church. Published in 1962, Ponder’s first book, The Dynamic Laws of Prosperity, made her a national celebrity. Almost all of her other books treat the same subject: The Prosperity Secrets of the Ages, Open Your Mind to Prosperity, The Millionaires of Genesis, The Millionaire Moses, The Millionaire from Nazareth, Secret of Unlimited Prosperity, and a few others. You’re probably too young to remember it, but the relatively moderate eight-month Eisenhower Recession was a pretty big deal six decades ago. Practically the only decline during the quarter-century-long economic boom after the Second World War, the Recession of 1958 caused many American businesses to shut down and many Americans to lose money. Catherine Ponder had barely started the fourth decade of her life back then, and she had just been ordained as a Unity Church Minister, merely two years after receiving degrees in business and education. Naturally, due to this pretty unique combination of skills set against the backdrop of a worldwide recession, she received a lot of questions from the members of her congregation back in 1958. A series of prosperity classes and, finally, in 1962, a debut book which made her pretty famous even among non-religious success-seekers. Because unlike most religious people, Catherine Ponder didn’t despise money; and she offered her followers a pretty good reason why. True, says Ponder, but there’s a difference between serving money and merely earning them. Money for money’s sake is bad and godless; but there’s nothing wrong with earning money while serving God. Let us be done with thinking of poverty as a virtue. It is a common vice. She’s not the first person – religious or non-religious – to proclaim this, but she is certainly one of the numbered few who did manage to popularize the concept long before Rhonda Byrne’s Secret turned it into a piece of common knowledge. A decade and a half before Shakti Gawain, Ponder suggests that regular visualization of your biggest dreams will inevitably lead to their realization. As a man thinketh within himself, so is he (Prov. 23:7) And later the words of Job: Thou shalt decree a thing and it shall be established unto thee and light shall shine upon thy way. (Job 22:28) From the philosopher, James Allen, I learned: Through his thoughts, man holds the key to every situation and contains within himself that transforming and regenerative agency by which he may make himself what he wills. In other words, thinking happy thoughts results in happy events; bad thoughts and doubts lead to misfortunes. Thinking big and good is merely the first step; writing your thoughts apparently further hacks this fireproof system. In other words, even though God is an all-knowing being, he too needs some help: writing down your thoughts should help him turn them into reality more efficiently. Another important thing: even though they say that the devil is in the details, Ponder is adamant that you must be specific when writing down your goals. Don’t just say that you want to be rich; say that, for example, you want to earn 10 million dollars within the next half a decade. And just like Jim Carrey – you will probably be surprised by the outcome. And she advises that you do the same. Because if you are “content to idly drift in a stream of small events and small expectations,” chances are you probably will. And then it’s time to sketch out a plan. Or to quote Henriette Anne Klauser: write it down, make it happen! Now, why should all of this work? Because, Ponder says, there are some unwritten laws which guide the universe and the one which should interest you the most is the law of radiation and attraction. Radiate, and you will attract; or, in more common words, give, and you shall receive. Yup, we just quoted the Bible yet again; or a beloved TV character – whichever one you prefer. You cannot get something for nothing, but you can have the best of everything when you give full measure for the good you wish to receive. Once again, Ponder makes known to her readers that this is neither a new idea nor one that should be dismissed by even the most skeptical of readers. The trick is to be one of those with a great heart. And if you are thinking and radiating great thoughts and expectancies of success and prosperity instead of failure, trouble, and limitation – then you are. We know what you’re thinking: the only thing more old-fashioned than the word “tithing” is probably the practice of tithing. In case you don’t know what we’re talking about, tithing is the practice of giving away the first tenth of your income to (most often) a religious organization. But can I just give away things mentally, you say? There’s an even deeper reason for giving away parts of your income to an organization respecting God; that way, you prove to yourself that you’re still serving one Master, i.e., God. And since He is the real source of your money – Moses says so: “Thou shalt remember Jehovah thy God, for it is He that giveth thee power to get wealth” (Deuteronomy 8:18) – He’ll make sure to give twice of that amount back. There is basically one problem in life: congestion. 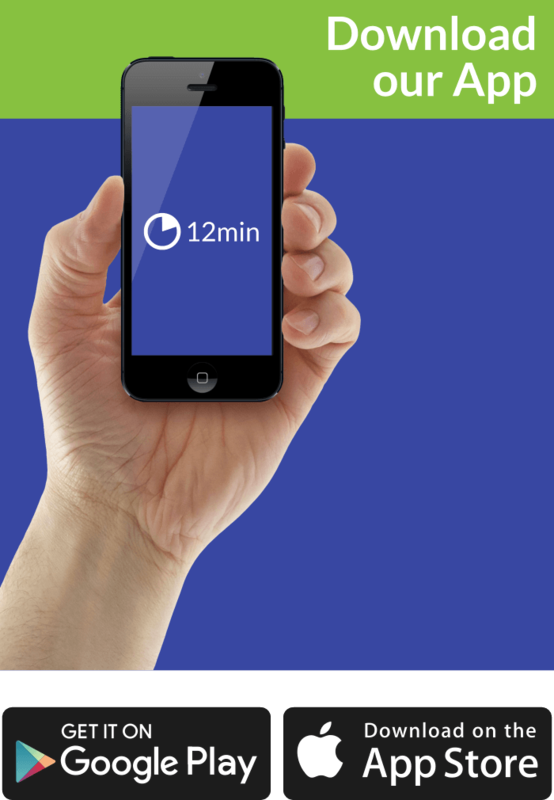 There is basically one solution: circulation. Systematic giving is, therefore, a powerful practice that blesses every phase of our lives, as it keeps us attuned to the wealth of the universe. “I tell you the truth,” says Jesus, “it is hard for a rich man to enter the kingdom of heaven. Again I tell you, it is easier for a camel to go through the eye of a needle than for a rich man to enter the kingdom of God” (Matthew 19:23-26). Well, Catherine Ponder is a Unity Church Minister; and The Dynamic Laws of Prosperity is a book about money. How does she explain these two quotes? Well, she says, neither of the two states that money is bad; both of them suggest that money is bad when it becomes an objective in itself. In other words, if you are too attached to money and want to earn them for their sake, then you’ve forgotten about God; but if you still pray, go to church, and give some of your money away (preferably to God’s organizations on earth), then there’s nothing wrong in earning them. Let’s rephrase Ponder for you: the Law of Creative Prosperity is how the Law of Attraction was called half a century ago; and it works best when you are the most specific. The law of creative prosperity is grounded in the basic law of the universe, says Ponder: in the end, you receive (attract) as much as you give (radiate). That’s why Ponder advises her readers to give away a tenth of their income to the church, thereby proving that they are not serving Mammon but God. This practice is called tithing and is, in itself, merely a corollary of a higher law: the law of circulation. The Dynamic Laws of Prosperity is not your usual get-rich-or-die-trying self-help book; for one, unlike most of them, this one claims that it is both a prosperity and a spiritual guide, deeply grounded in the Bible. And if you want to earn some dough, then it’s good if you have God on your side, isn’t it?